Phil Norrey is the Chief Executive and Head of Paid Service. Leading on the strategic vision for the authority, Phil has responsibility for ensuring the Council is future ready and makes the most of opportunities to be inventive, flexible and responsive to local need. Phil’s remit covers Corporate Services which includes Democratic Services, Policy, Legal Services, Communications, Human Resources, Finance and Business Strategy and Support. Phil was educated at Colchester Royal Grammar School and Bristol University where he gained a First Class Honours Degree in History. He taught at Bristol University while completing a PhD in Seventeenth Century Political and Administrative History. After leaving Bristol, Phil joined the Audit Commission where he was engaged for two years mainly on a series of studies in value for money in education. The next step took him to Somerset County Council where Phil worked in a number of departments before settling in Education. In 1996 he moved to the newly formed North Somerset Council as Assistant Director of Education responsible for policy and strategy, school planning and education finance. In April 1998 Phil joined Devon County Council as Deputy Director of Education, Arts and Libraries and was appointed Director in 2003. 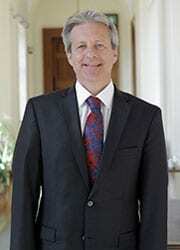 He took up the post of Chief Executive of Devon County Council in February 2006. From 2003-2006 he was a member of the Board of Learning South West and from 2003-2008 a Board member of Connexions Cornwall and Devon (now Careers South West). In 2004 he was appointed Honorary Fellow of Exeter University and in 2008 he was appointed Practitioner in Residence at Plymouth University. Phil held the post of Chairman of the Association of County Chief Executives for 2011/12. He is the Co-Chair of the Children, Young People and Families Partnership Board, Chair of Devon Sustainability and Transformation Partnership (STP) Programme Executive and Children’s Policy Lead for SOLACE. Phil is also the South West Chief Executive Lead for Brexit and Chair of the South West Chief Executives, Chair of the Devon Tobacco Control Alliance. Download Devon County Council’s organisational structure.